When you press the governor you get text to the left like you see here. 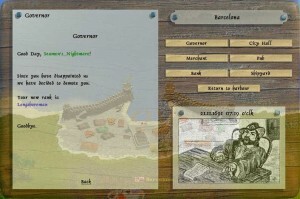 Sometimes when you press the governor you can receive information from an ambassador of another nation then the city is. This will do so you receive or lose reputation points from the nation the ambassador is from. If you press plead for an audience, you will receive or lose reputation points at the nation the city is. This can lead to gaining a new title. Learn more about reputation here. If you press look at industrial information you get a new page to the left like this. Here you can see how many fields and factories there is and what demands the city got. 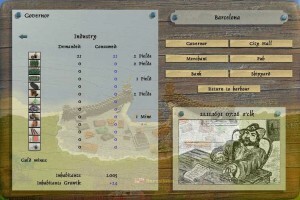 You can also see how many inhabitants there is in the city and if the inhabitants growth is rising or decreasing. 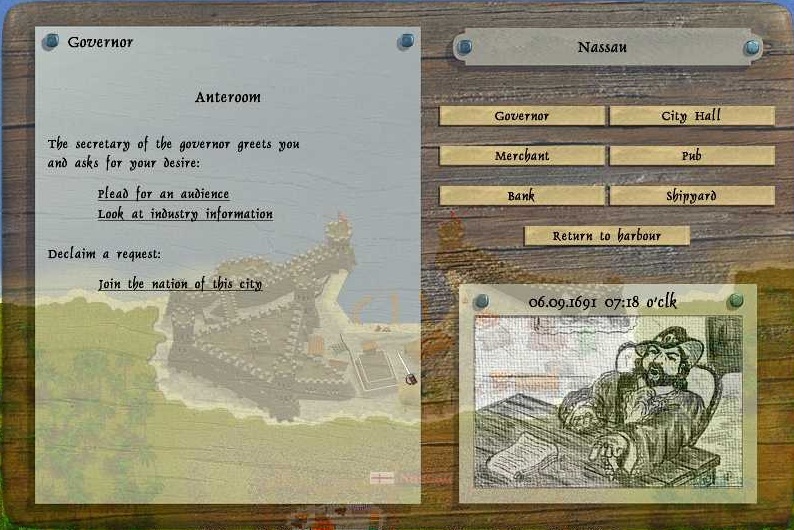 When you press join the nation of this city, you can get a screen like this, where it inform you that you do not have the title you need to change to this nation. If you do have the necessary title you can join the nation. 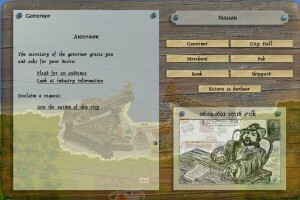 Learn more about nation change here.